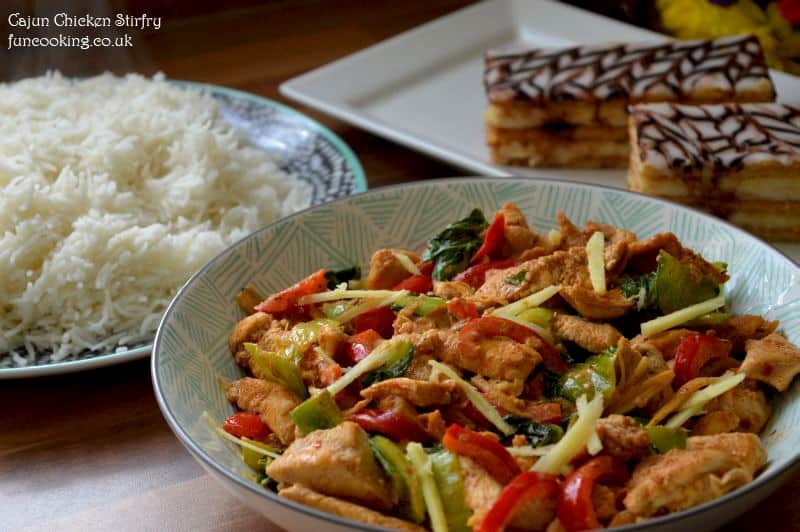 Chicken Cajun Stir fry is a quick fix recipe. 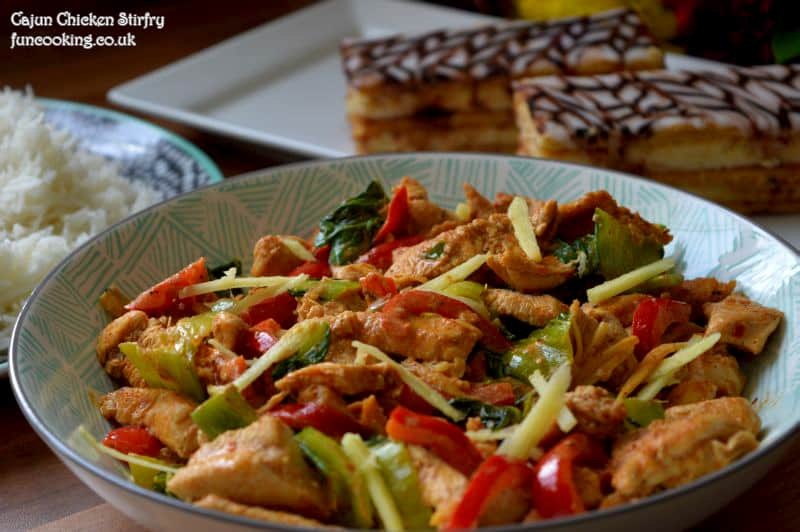 Stir fried small chicken slices with Cajun seasoning followed by adding bokchoy, capsicum, green chili and ginger. 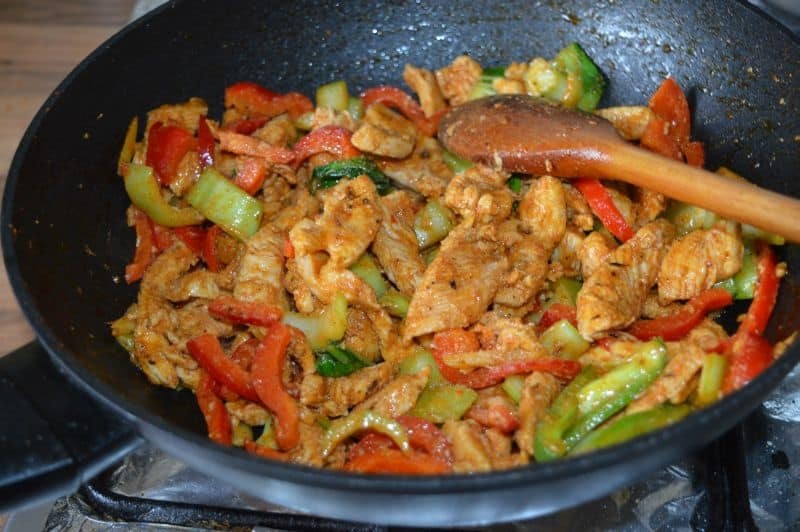 You can add any other vegetables in it like cabbage, mushrooms, onions etc.You can also make a little gravy in it by adding 1/4 cup cream or yogurt in it. I used store bought Cajun seasoning in it but you can make your own and keep it in your spice cupboard. 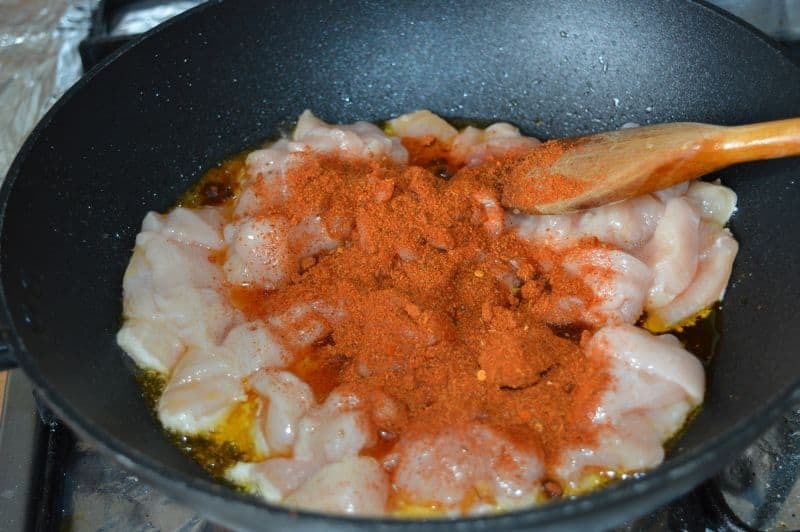 Mix all ingredients given below and your Homemade Cajun seasoning is ready to use. 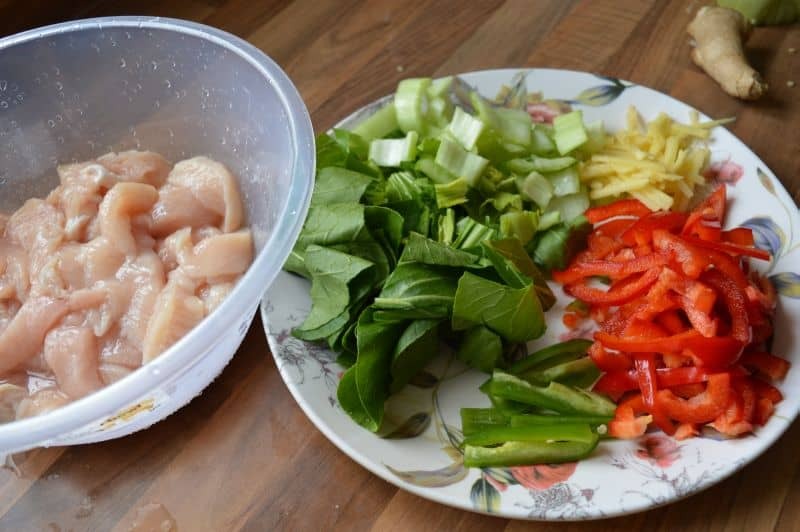 Cut all vegetables and cut chicken in thin small slices. 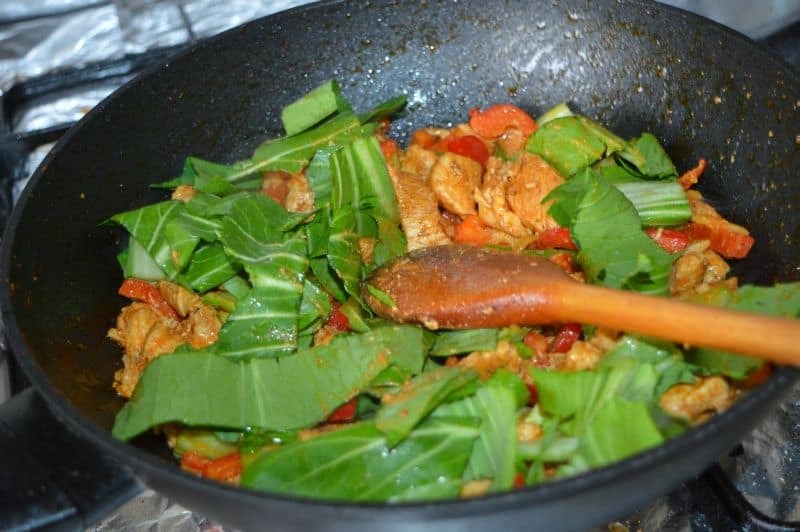 Heat a wok, add in 3-4 tbsp oil with chicken and 1 tbsp cajun seasoning. 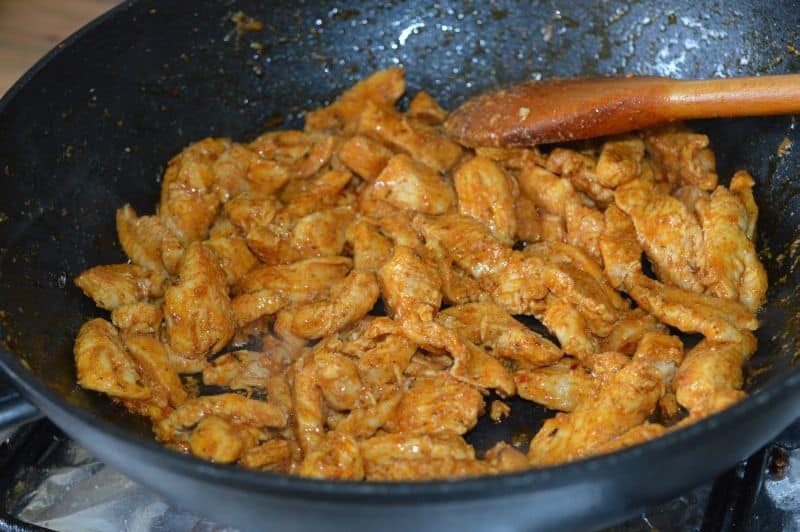 Cook and stir on high heat until all extra juices from chicken evaporate. 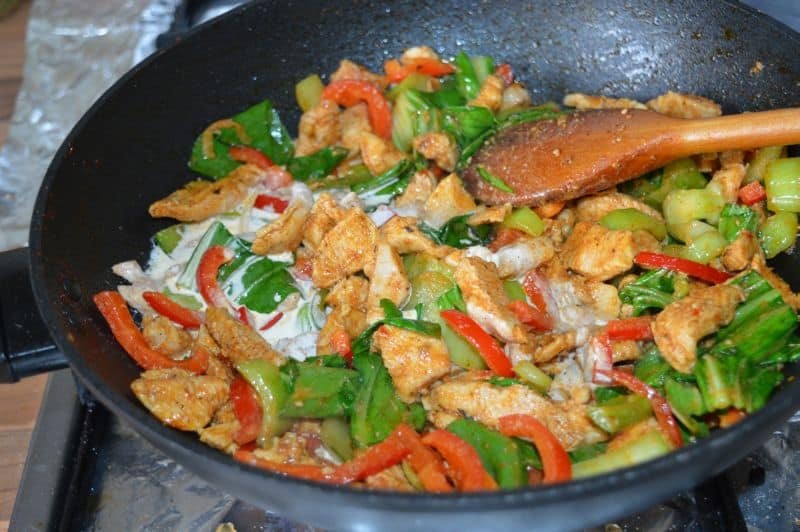 Stir fry few more minutes to get light colour on chicken pieces. 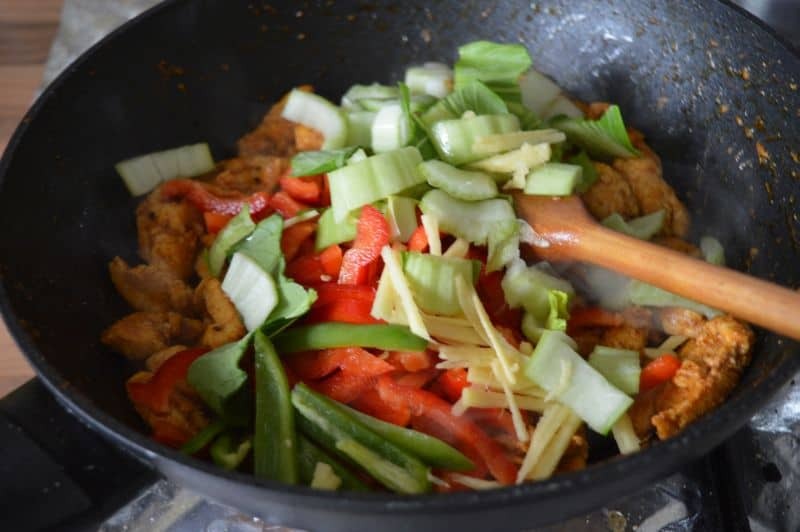 Now add thick part of bokchoy, green chili, ginger and capsicum. Stir and cook on high heat for 2-3 minutes. 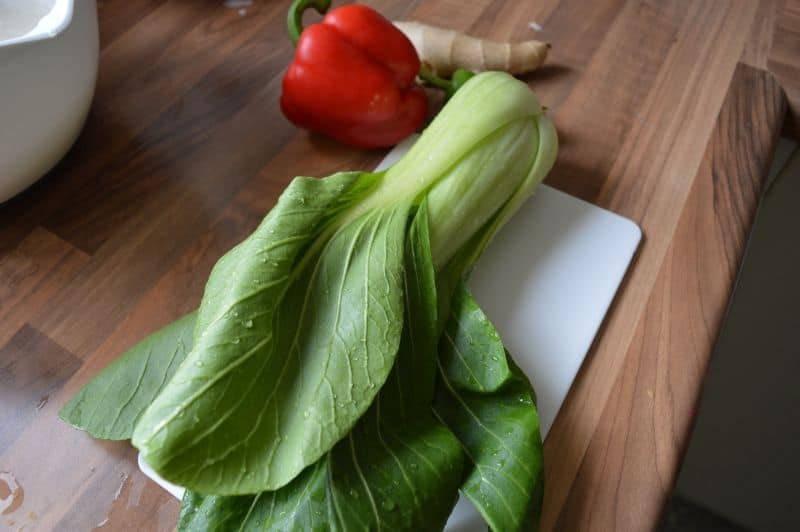 Add in leaves part of bokchoy. Now add 4 tbsp cream, mix well cook few more seconds.. Taste salt and turn off the heat.